The Ford Foundation believes that “all people should have the opportunity to reach their full potential, contribute to society, and have voice in the decisions that affect them.” The Ford Foundation works to advance the rights of LGBT individuals in the economic, social, and political spheres of society. Some initiatives include expanding support bases and raising awareness; fighting for non-discrimination laws; building strong leadership in communities and regions; and striving for protection from violence and maltreatment. The Ford Foundation has been a major supporter of OutRight Action International for over a decade and a half, providing significant support towards increasing the capacity of the global LGBTI movement to document human rights violations and to advance antidiscrimination laws, among other efforts. The Open Society Foundations work to “advance human rights and justice around the world by advocating [for] equality for minorities and women, supporting international war crimes tribunals, and helping institute national legal reforms to ensure freedom of information, promote sentencing alternatives, and protect the rights of criminal defendants” among other initiatives. The Open Society Foundations have been major supporters of OutRight Action International for over a decade and a half, providing significant general operating support during that time. The Arcus Foundation respects “the worth and dignity of all life.” The Foundation “value[s] freedom—liberty, justice, and full citizenship for all people worldwide—and diversity of thought, people, and ideas.” Arcus works with “target communities, specifically [in] the Islamic world, U.S. communities of color, and the Global South.” The Foundation focuses on supporting “positive religious leaders and advocates” and on fighting the “abuse of religion to deny protection to LGBT people.” Arcus prioritizes “catalyzing support from other funders and sectors, investment in Global South leadership and voices, and transgender populations and concerns,” among others. The Arcus Foundation has been a major supporter of OutRight Action International for close to a decade, funding important initiatives to empower LGBTI activists in the Global South. The Calamus Foundation supports organizations that “promote and support [the LGBT community’s] formation, growth, identity, general wellbeing and social and legal rights.” The Calamus Foundation has recently joined as a generous supporter by providing us with general operating funds. Dunn Family Charitable Foundation was formed by Kelly and Ray Dunn in order to share from their financial abundance with persons and communities in need. The goals of the Foundation reflect the values and interests of the founders and their children. The Foundation is primarily focused on poverty alleviation and social justice. The Foundation manages more than 700 research grants, contracts and cooperative agreements and its projects range from small bench-top experiments to complex multisite programs. Horizons Foundation is a community foundation rooted in and dedicated to the lesbian, gay, bisexual, transgender, and queer (LGBTQ) community, and we exist to fund to mobilize, empower, and steward the lives of LGBTQ people now and in the future. 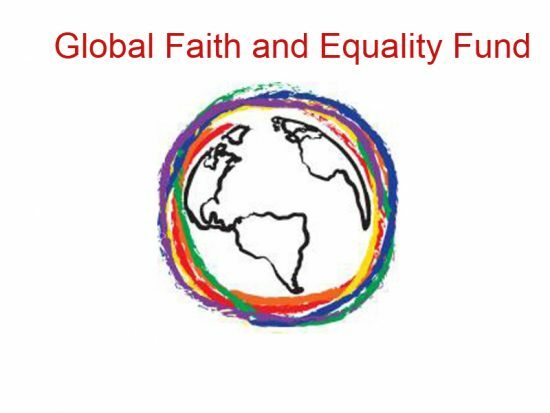 Internationally, through the Global Faith and Equality Fund (GFEF), Horizons is playing an active role by strategically funding grantee partners whose work is at the intersection of LGBTI rights, reproductive justice, and faith in Africa, Latin America, and the Caribbean. Alphawood Foundation is a Chicago-based, grant-making private foundation working for an equitable, just, and humane society. PARC Foundation strengthens communities in need by serving as a catalyst for the development and promotion of contemporary art and architecture. PARC Foundation generously supports OutRight with general operating funding.